Ever wish you could throw back a few beers with Ernest Hemingway at a glamorously bohemian bar back in the roaring twenties? 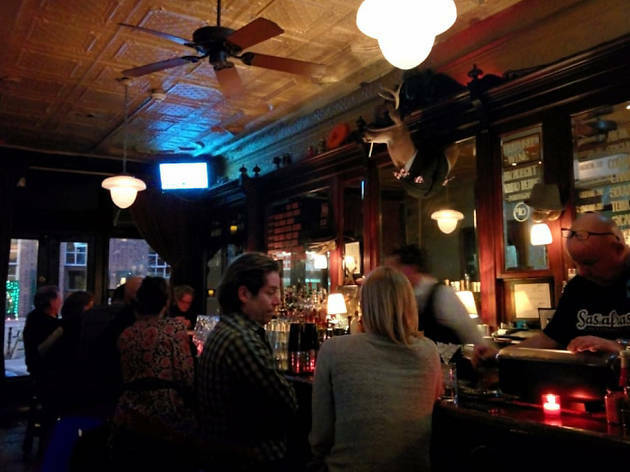 While you can’t bring Bumby back from the dead, you can get the next best thing at Sassafrass, a charming little drinking hole right in the heart of historic Old City. 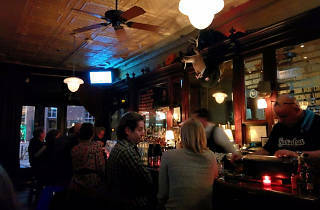 Chat up the handsome Irish bartenders while they mix you a classic cocktail, Instagram yourself in the bathroom (which is equipped with a couch) and cuddle up with your sweetheart—or a budding literary hero—at the lamplit bar.